Margaret K. McElderry Books, 2013. The reviewer borrowed a copy of the book from her library. 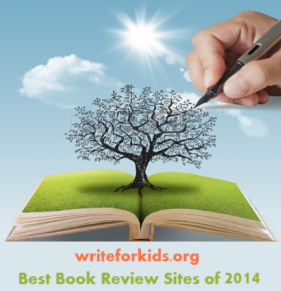 Are you looking for a way to draw more readers to the nonfiction sections? All you need to do is put A Little Book of Sloth on display, and the readers will flock to the 600s. 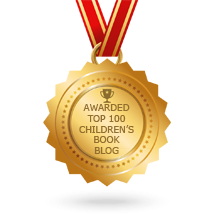 We've had it available in the collection a short time, and children and adults stop what they are doing and come running (or briskly walking) when they see the book. What makes A Little Book of Sloth so appealing? First, it's about sloths. Who can resist these slow-moving, unique creatures? Also, the book is full of colorful photos of sloths living in Slothville, a preserve for injured sloths located in Costa Rica. Sloths are pictured relaxing in buckets, hanging from trees, cuddled up with stuffed animals, and eating vegetables from plates. These up-close photos take up most of the page and are accompanied by a just the right amount of text for an independent reader. Readers will find the narrative writing and author's voice engaging as they learn about the daily life and habits of sloths in the sanctuary. In a conversational tone, Cooke tells the stories of individual sloths and the circumstances that brought them to Slothville. "If hugging were an Olympic sport, then Ubu would be a gold medalist, but he wasn't always so strong. As a baby, Ubu lost his grip on his mother and fell. When he hit the ground he hurt his spine, and now his back legs don't work. But plenty of physical therapy has given the paraplegic baby sloth the upper body strength of a champion wrestler." 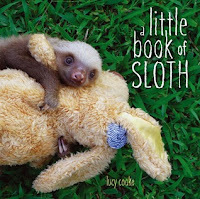 A Little Book of Sloth is not the type of book students would read for research projects. There is not much back matter except for a link to the Slothville site and a note from the author about the sloth sanctuary. The purpose of the book is reading for pleasure, and it will hopefully serve as a "gateway book" to other nonfiction titles such as Knut: How One Little Polar Bear Captivated the World, Owen and Mzee: The True Story of a Remarkable Friendship, or Kakapo Rescue: Saving the World's Strangest Parrot. Visit the Slothville site to learn more about the sloth sanctuary. Watch "A Bucket of Sloths" video filmed by Lucy Cooke.